warning: Creating default object from empty value in /home/buzz/public_html/modules/taxonomy/taxonomy.pages.inc on line 34. 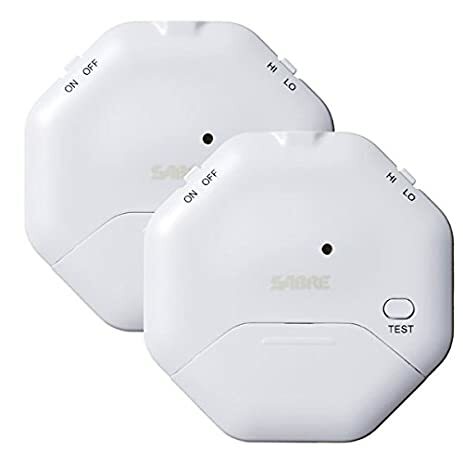 TOP FEATURE: LOW COST - For a small, inexpensive security device, these SABRE HS-GA2 Wireless Window Glass Break & Vibration Detector Alarm with Security Warning Decal are hard to beat. TOP FEATURE: EASY - They are super easy to install-just peel and stick- and the bright red security sticker on the back acts as an extra security feature. TOP FEATURE: SMALL SIZE - The devices are not large, so they don't take up a lot of window real estate. They can be turned off and turned on easily using the small slider switch in the side. I placed one in the window of the back door and only turn it on at night. It easily picks up the motion of the door opening. The alarm is high pitched and annoying, but not incredibly loud. And the alarms themselves are fairly sensitive in the "high" setting. The alarms also have a "low" setting. All around, these are a good addition to other security systems or a great start if you're just beginning to make your home more secure. Free books anyone? There seem to be oodles of sites listing free books lately. Most of them come from the Amazon Kindle store, but there are others that do not. Just so you know, most of the products, services, books, etc that I review on this site have been sent to me for the purpose of review.